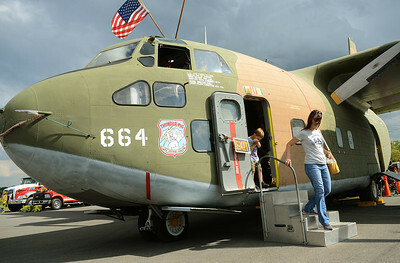 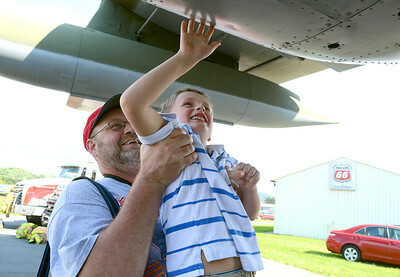 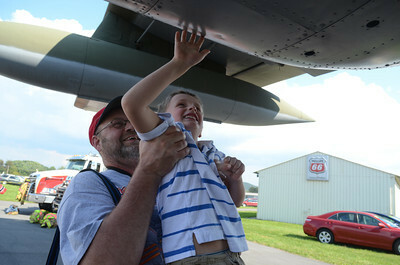 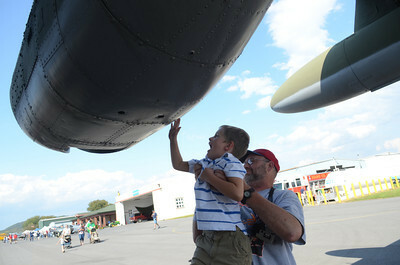 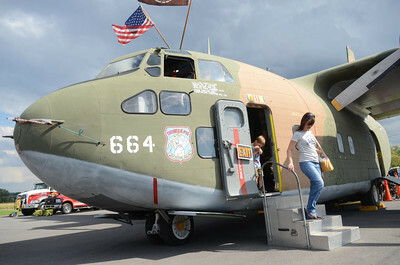 Trent Kline, 6, gets a lift from his grandfather, Steve Kline, both of Northumberland under a C-123K Provider Saturday during the free air show at the Penn Valley Airport in Selinsgrove. 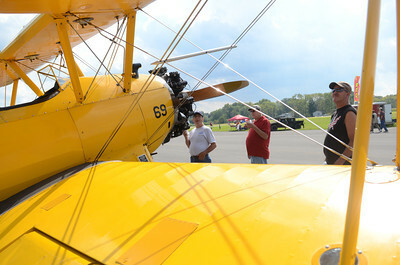 Jim Gutelius, from left, of Montandon, Harold Wenrich of Northumberland and Perry Caris of Selinsgrove take a closer look at one of the bi-planes on display during the free air show at the Penn Valley Airport in Selinsgrove. 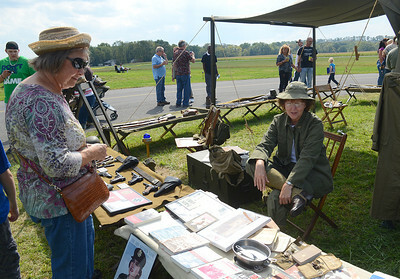 Maddy Walter, left, of Middleburg chats with reenactor, Tena Gift of Paxtonville during the free air show at the Penn Valley Airport in Selinsgrove. 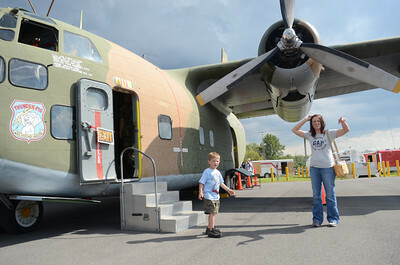 Eddie Lockcuff, 4, and his mom, Alexa Lockcuff of Shamokin Dam exit the C-123K Privider after taking a look where troops and cargo would have been transported. 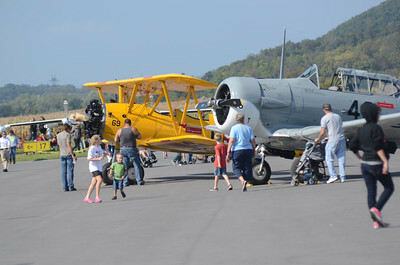 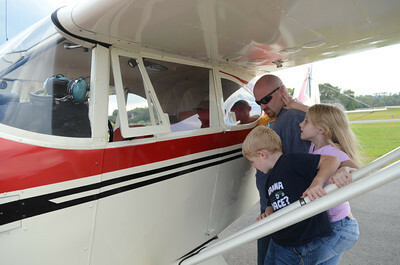 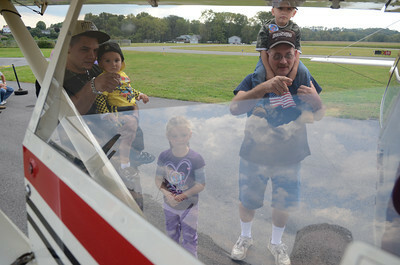 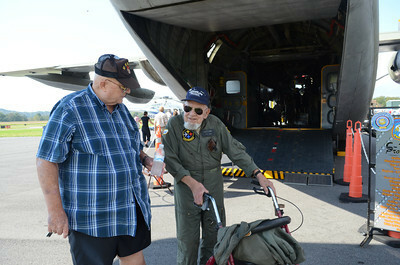 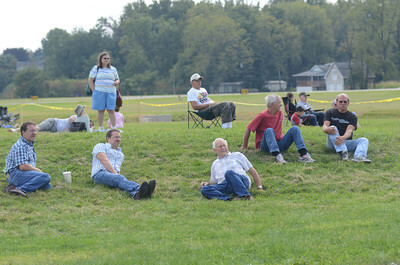 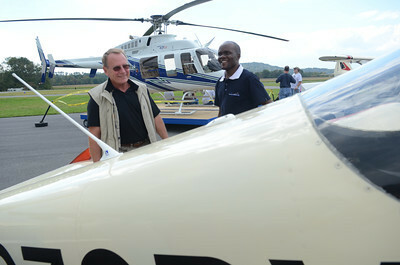 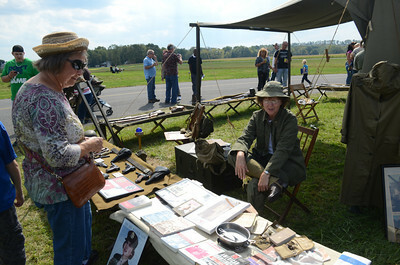 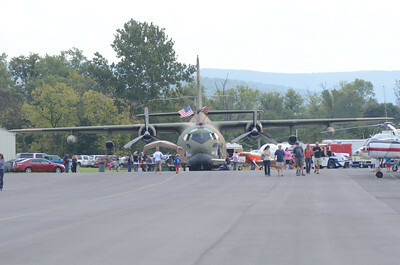 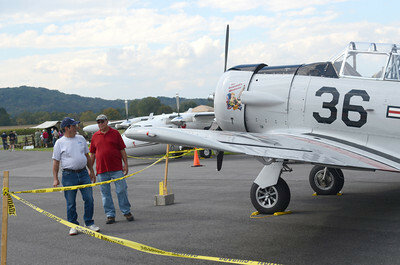 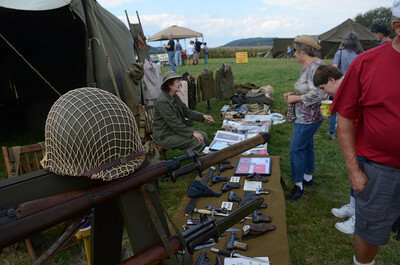 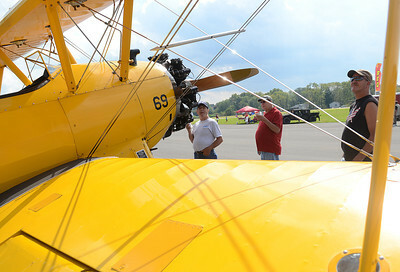 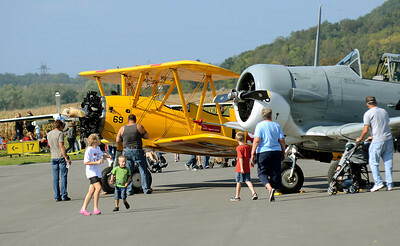 People gathered Saturday Sept. 22, 2012 for the free air show at the Penn Valley Airport in Selinsgrove.